No such thing as enough fluff. 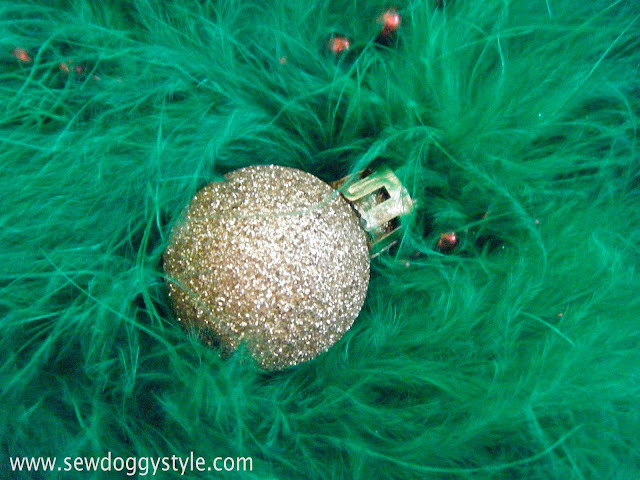 This Christmas tree is made from a feather boa and we love it! All you need: A needle, thread, plain sweater, and the 3 items in photo. 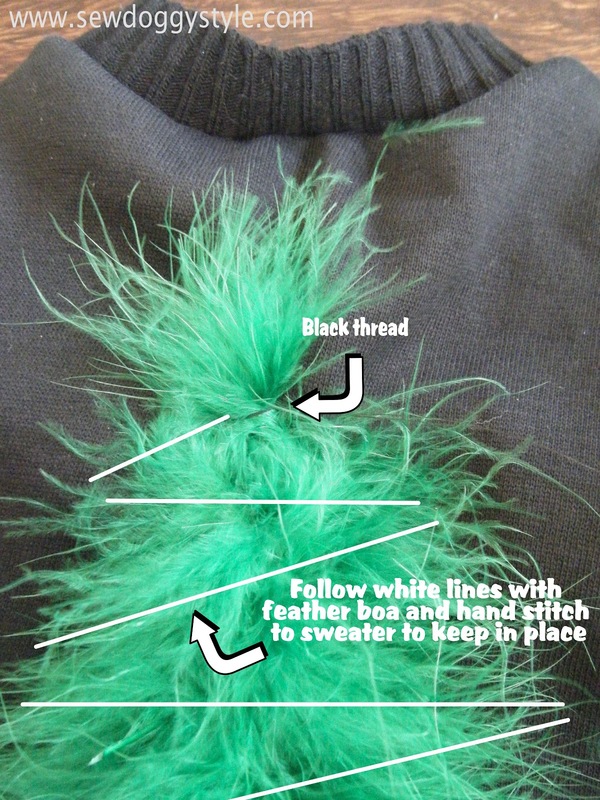 With thread that matches sweater (black thread for black sweater), tie a sturdy knot at top to start the tip of feather boa christmas tree. 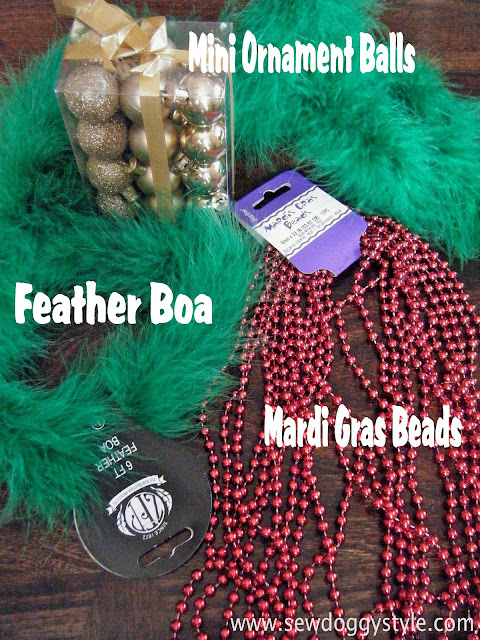 Shape the feather boa as shown in photo and tie knots as needed as you work your way down. 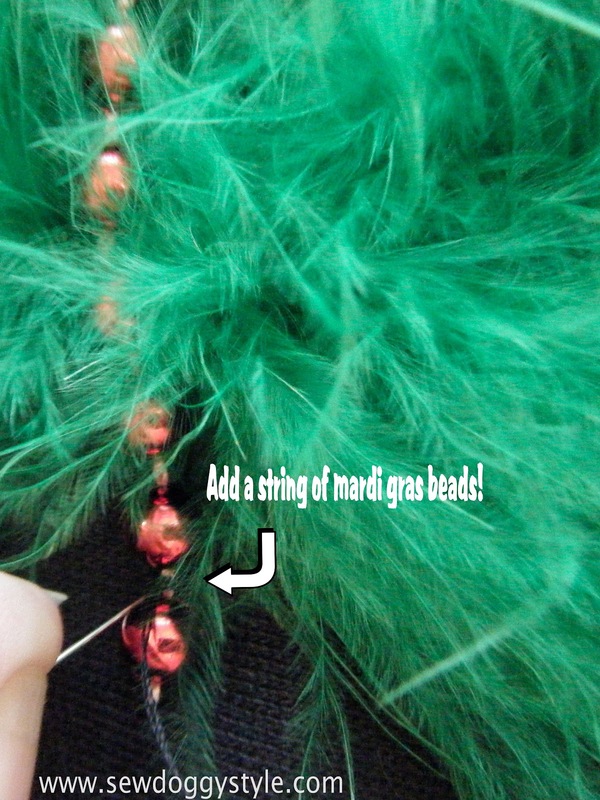 Using same zig zag method, hand stitch a row of mardi gras beads starting from top of tree and work your way down. And what's a tree without ornaments? We love these mini balls we found at the craft store. Hand stitch as many as you'd like to the tree. That's it! So simple. Jump for JOY in your new christmas sweater! 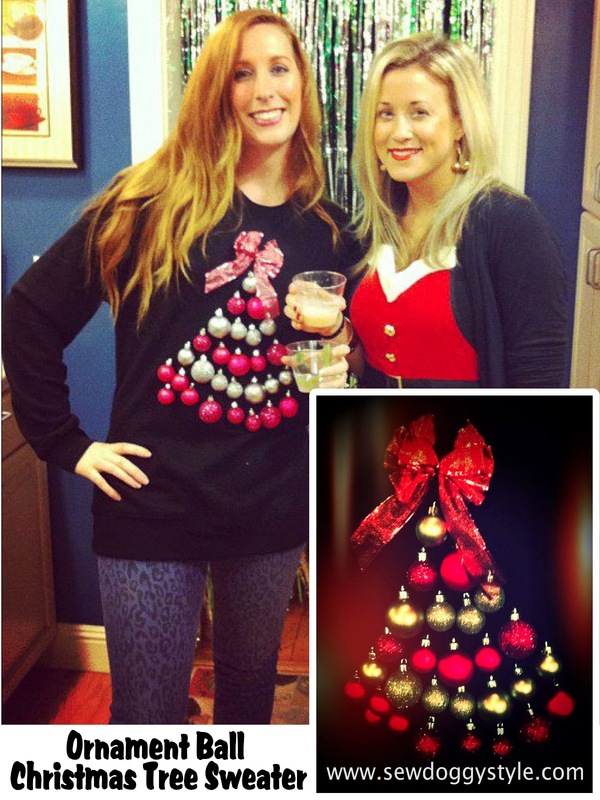 Don't forget to check out last year's Ugly Christmas Sweater here. And here's one I made for myself entirely out of ornament balls. 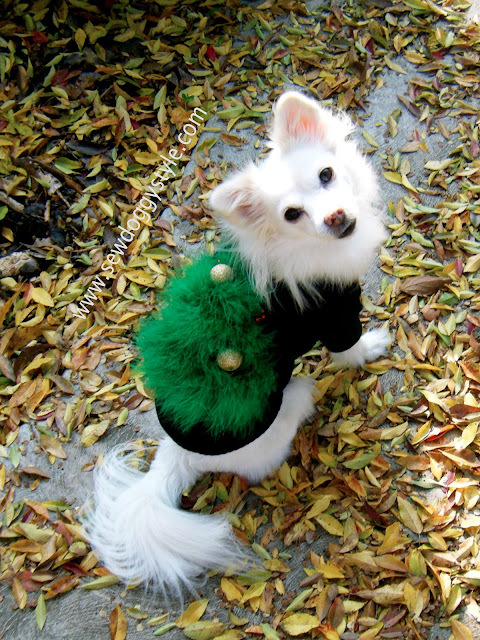 Doesn't quite work as well for dogs because the ornaments just fall to the sides (we tried). That is super cute. Cinnamon would love that! I guess I should ask for a sewing machine for Christmas. Happy Wednesday! I LOVE this! Addie will be sporting one next year! 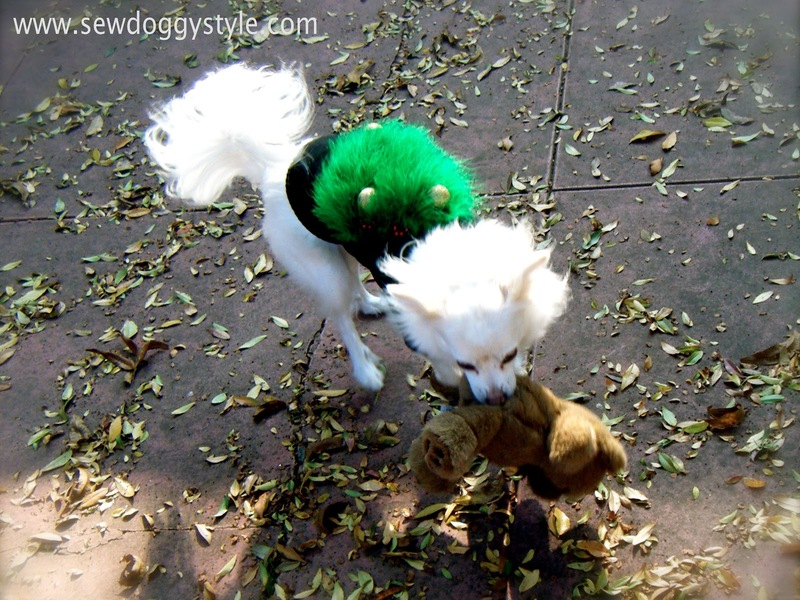 Just found your blog...LOVE IT!!! Found you through Pinterest and I am now a follower. Hope you had a Merry Christmas & Have a Happy new Year! !